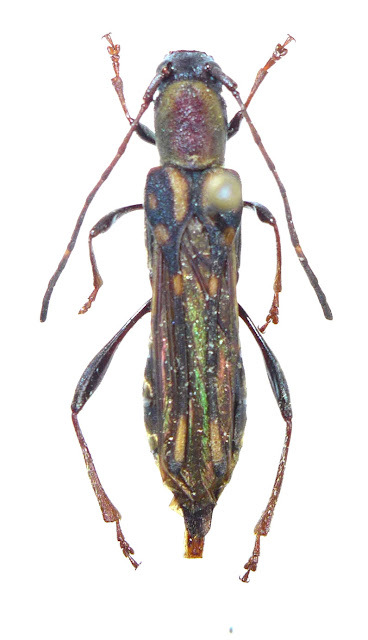 Thranius multinotatus multinotatus Pic, 1922 is a member of tribe Thraniini, subfamily Cerambycinae. 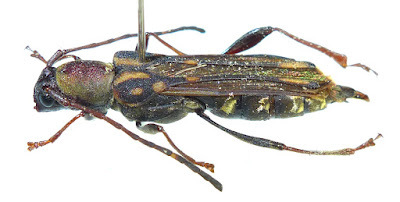 They are wasp mimic cerambycinae beetles with the reduced elytra which be slender apically. Thranius multinotatus is wide distribute species, from Tibet to Japan (in some islands) and down to Indochina, however it is hard to be sure that they all be a same species. 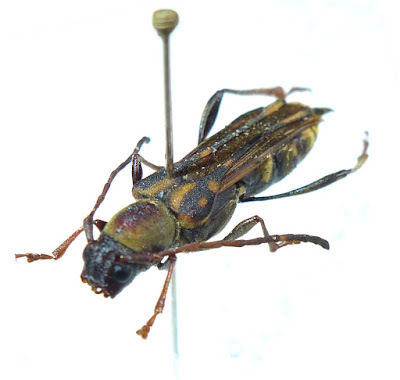 In my collection, Thranius multinotatus multinotatus Pic, 1922 was collected from Ha Giang, North Vietnam.